As we all know that led flood lights is a very important part of the outdoor led lighting. Outdoor flood light features high-quality, low energy consumption, high-tech technology, light color change and etc. Outdoor led flood lights is widely used in the garden, courtyard lighting, building facades, illuminate parking areas, loading docks, and other large, general site lighting applications. But Lots of people do not know how to install flood light after they buy it. It not difficult for Wista Lighting-because we are a professionally led floodlight manufacturer. Why don’t you follow us and learn how to install flood light? Step 1: Before installing the flood light fixtures, it is recommended to carry out a detailed inspection of the spotlights before the installation, to see if the appearance of the LED floodlights is damaged and whether the accessories are complete. How about the after-sales service, etc. Every detail you need to check carefully. And then choose the right place for led flood lamp installation. Step 2: Find Nearby Power Source for industrial led flood lights. Step6: After the outdoor floodlight is fixed and connected, it is best to use the universal meter on the main power supply to check whether there is a faulty short circuit. Step 7: After all the outdoor led floodlights are ready to light up, try to light up for a while, and then check the next day and the third day. After doing this, everything is ok, and there will be no problems in the back. This product is used for outdoor lighting, but we suggest that against for the rain/storm. 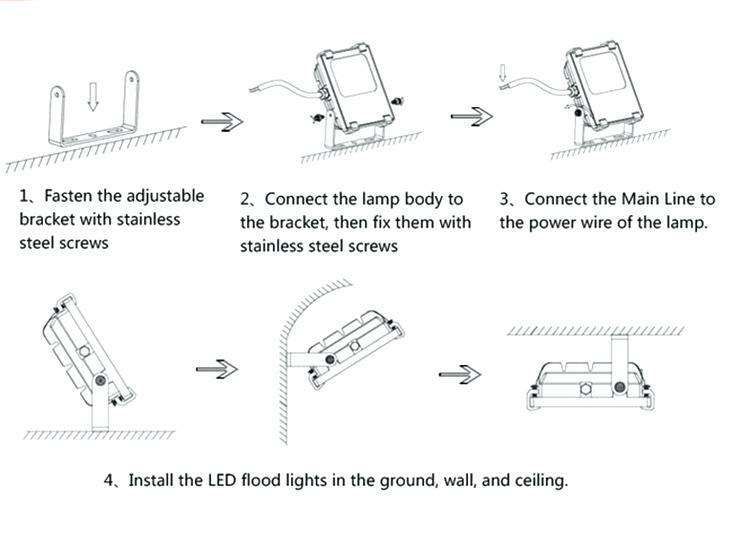 Now have you learned how to install flood light? If you have any question, please contact Wista Lighting. Wista Lighting, one of the top LED light manufacturer China, located in China led lighting production base-Changzhou City, Jiangsu Province. We also have a warehouse in the USA. Wista Lighting focuses on the outdoor &indoor lighting manufacturing since 2010. Our main product is led area light, led wall pack, led canopy, led high bay light, and etc. As a top led wholesale suppliers, We have a very strong RD team and quality concerns staff over 60 people. We effort to help our customer to save and reduce power consumption in the worldwide. If you want to know more details about our website, please contact us! https://wistalighting.com/wp-content/uploads/2018/10/how-to-install-flood-light-1.jpg 260 400 hx_wis59jpk https://wistalighting.com/wp-content/uploads/2018/05/logo-0.png hx_wis59jpk2018-10-30 02:30:422018-11-21 10:31:07How to install flood light?